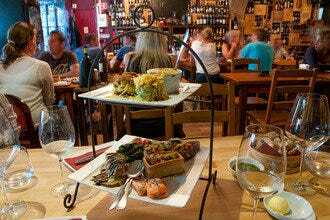 Fado restaurants in Lisbon: where to eat and listen to voice and guitar. 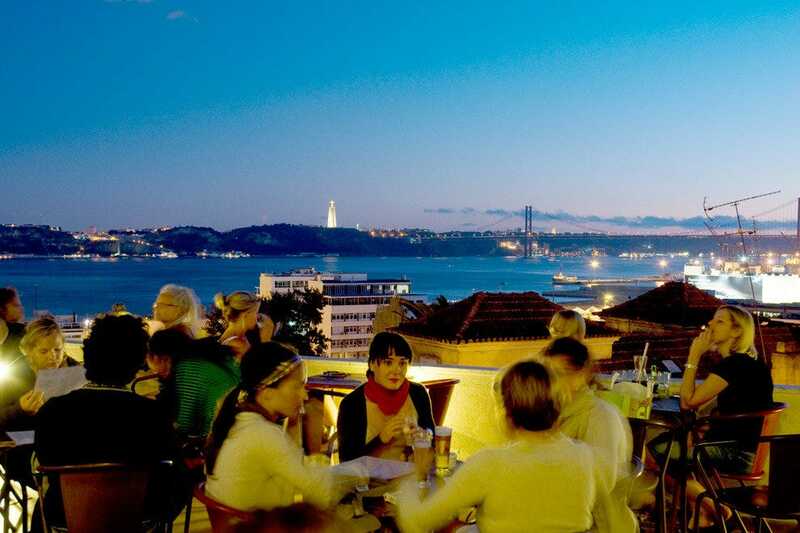 The best nightlife in Lisbon centres on some great bars, cafés, clubs and live music venues. 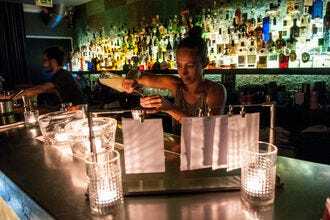 Many can be found in the city’s popular nightclub districts, but a few are waiting to be explored further afield by the more adventurous. For a night with the locals gather near Cais do Sodré and Titanic Sur Mer, a funky live music venue perched on the waterfront. 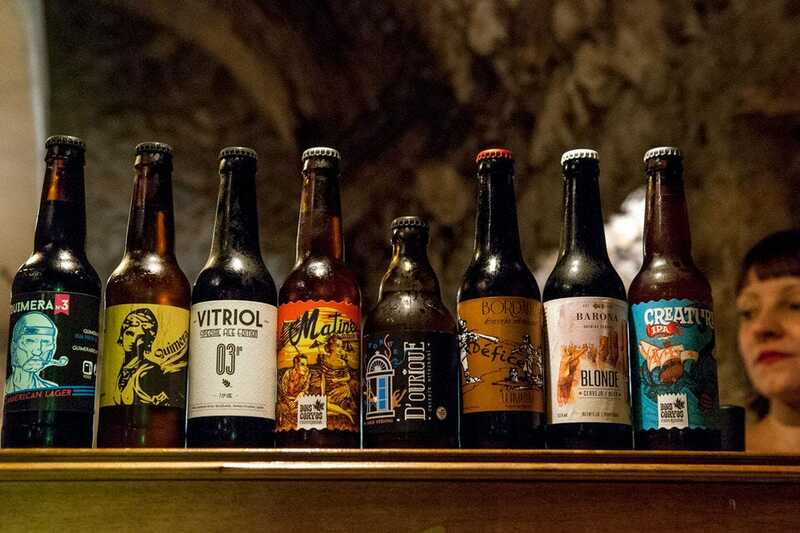 Craft beer is all the rage in Lisbon right now, and for arguably the best selection of local brews head west to the city’s Alcântara district and the Quimera Brewpub. 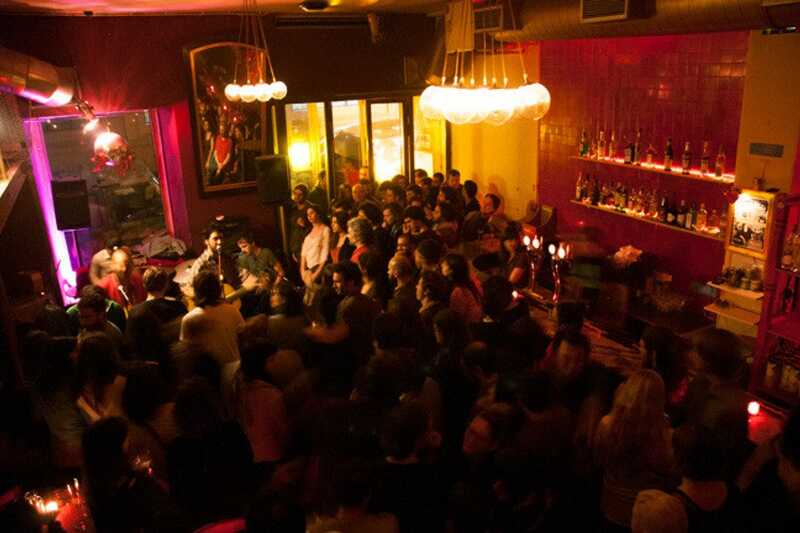 Another lively venue known for its DJ sets and live gigs is Lounge, also found near the river near Cais do Sodré. Head down to Noobai Café before dusk and enjoy a sundowner at this informal bar that stays open till midnight and ideal for meeting up in before discovering the rest of the night. If you’d rather sample Portuguese wine, join the throng for an evening at By the Wine, a cozy wine bar that features 3,000 empty bottles fixed to the ceiling! O Bom, O Mau e O Vilhão translates as “The Good, The Bad and The Ugly”, but there’s nothing bad or ugly about this cool hangout, which occasionally hosts live jazz. 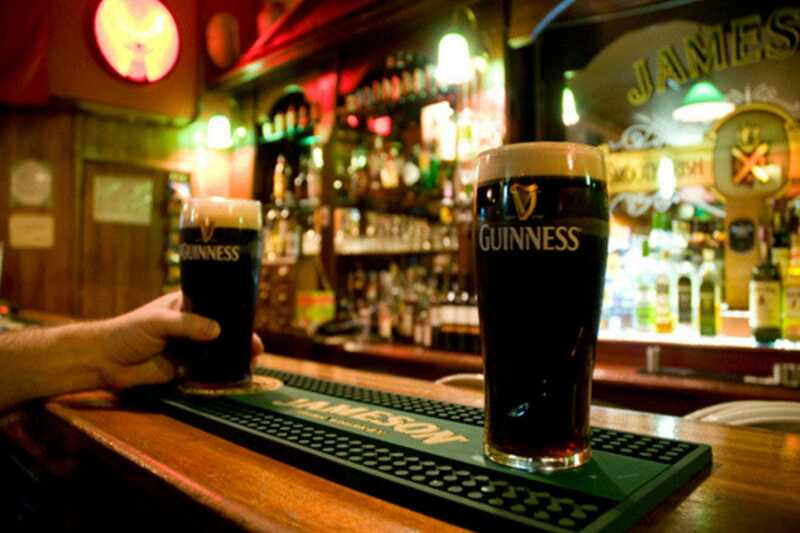 For a good old Irish knees up, tumble into O’Gillins where the Guinness flows as swiftly as a fiddler’s elbow. Fancy your luck? 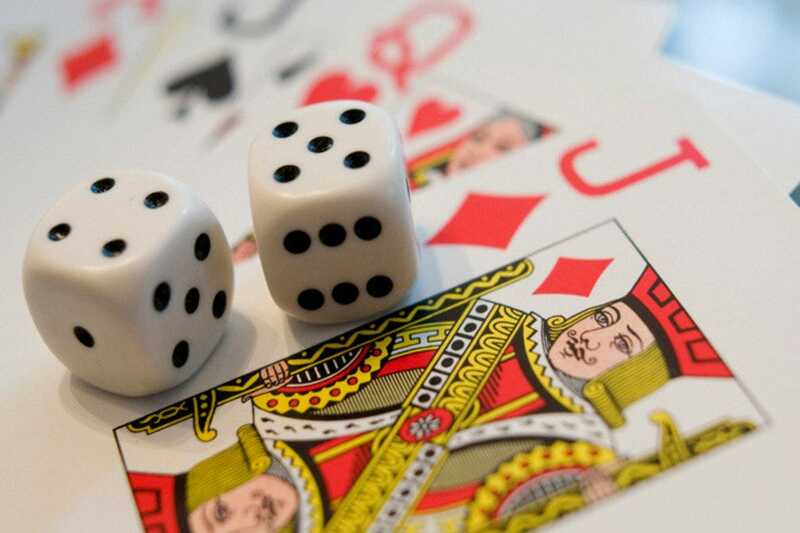 Then head east over to Parque das Nações and gamble responsibly at the plush Casino Lisboa, which also hosts international cabaret shows and serves food late into the evening. For inexpensive drinks and amiable banter grab a terrace table outside Sol e Pesca, a former fishing tackle shop that’s now one of the city’s quirkiest bars. 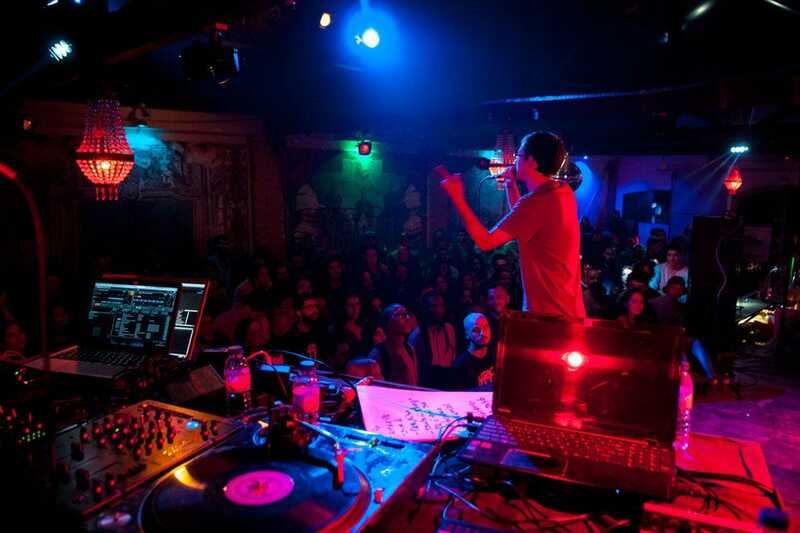 And situated on the same street is Pensão Amor, arguably the most eclectic of Lisbon’s after hours venues where anything from naughty burlesque shows to poetry recitals take place. The beer’s pretty good too! 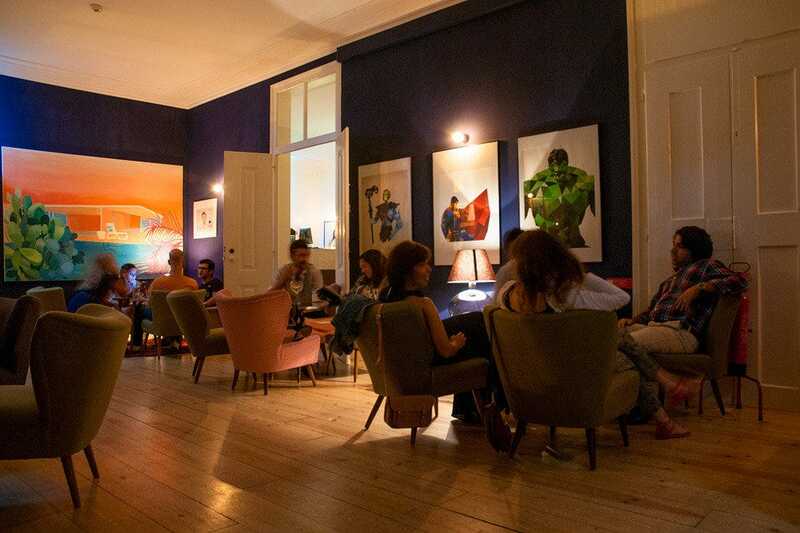 An established venue on Lisbon's nightlife circuit, Pensao Amor is located in an old boarding house near Cais do Sodre; (the name translates as "Love House"). 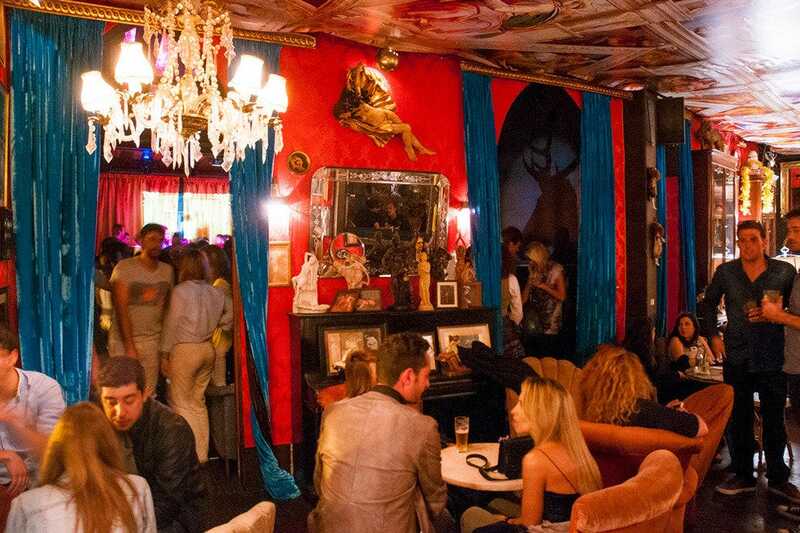 It's aptly themed around an upscale, 19th-century burlesque club, complete with crimson velvet furnishings and walls lined with gilt-framed mirrors and dozens of antique prints and lithographs depicting ladies in risqué poses. The decadent mood is further set by careful attention to period detail right down to the faux trompe l'oeil ceiling and pub-style piano. 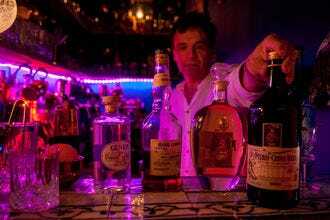 The bar serves a great selection of beers, wine, spirits and cocktails and guests are further entertained by regular live music performances in an adjoining salon, burlesque shows and clean and tasteful pole dancing exhibitions. The upper floors are occupied by a number of independent retailers, many specialising in alternative fashion and handcrafted jewellery. Anglers used to frequent this place when it sold fishing tackle and equipment. 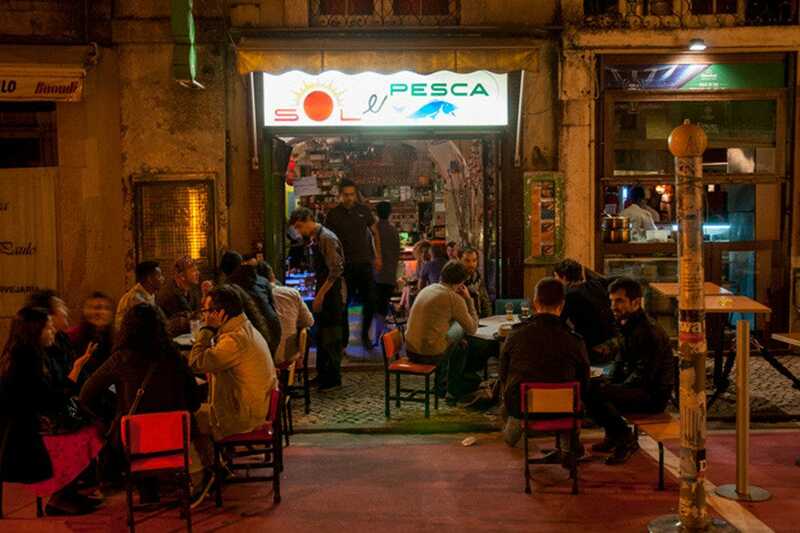 So how did a fishermen's hardware store turn itself into one of Lisbon's hippest bar-cafés? Owner Henrique Vaz Pato saw an opportunity to refurbish a long-abandoned commercial premises into a trendy nightspot, one that was right in the heart of Cais do Sodré's clubbing district, and opened Sol e Pesca â" "Sun and Fishing". Proud of the port area's seafaring tradition, he kept the shop's décor much as it was, and the fishing rods, lines, hooks and weights are still on display. Sol e Pesca also offers a tasty snack menu of tuna, sardine and other assorted seafood (great with wine or an ice-cold beer) and one side of the bar displays an array of these tinned delicacies, which are sold in colourful retro wrapping â" American celebrity chef Anthony Bourdain raved about them and featured the bar in his TV series. At night this place lures a young, vibrant crowd and on Saturday nights it really is filled to the gills. World-class dance and music shows and a diverse range of table-based gaming options, anything form American Roulette and Blackjack to Caribbean Stud Poker and Baccarat, feature at this modern and stylish entertainment complex located in Parque das Nacoes. Players can also try their luck at over 1000 slot machines. The Oceans Auditorium hosts a programme of national and international productions, and previous shows include Stomp and Tango Forever. The Arena Lounge surrounds a rotating stage with multiple platforms where guests can enjoy a complimentary show over cocktails. The casino offers two dining options: the Hua Ta Li Chinese restaurant and the Arena Lounge. Private parties are held in the Suite. 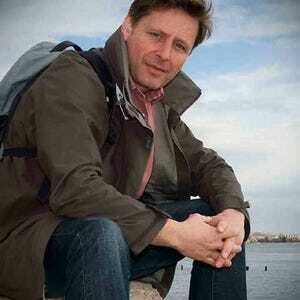 Dress code is smart casual for tables and shows. Located on the steep sidewalk that connects down-to-earth Cais do Sodré with upmarket Chiado, O Bom, O Mau e O Vilão, which translates as The Good, the Bad and the Ugly, sits among a cluster of bars and music clubs that constitute one of Lisbon's funkiest nightlife districts. This offbeat venue maintains a chic, SoHo loft veneer â" all wooden floorboards and wide-open rooms â" and functions well as an ad-hoc cocktail lounge. It's a chic place to hang out before dinner (the list of 21 gins alone works up a great appetite) and early evening is the best time to chill out with a long drink and good conversation. 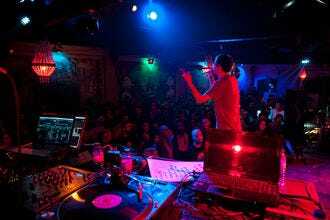 Later, the vibe picks up considerably when nighttime entertainment kicks in â" this is a live music venue. 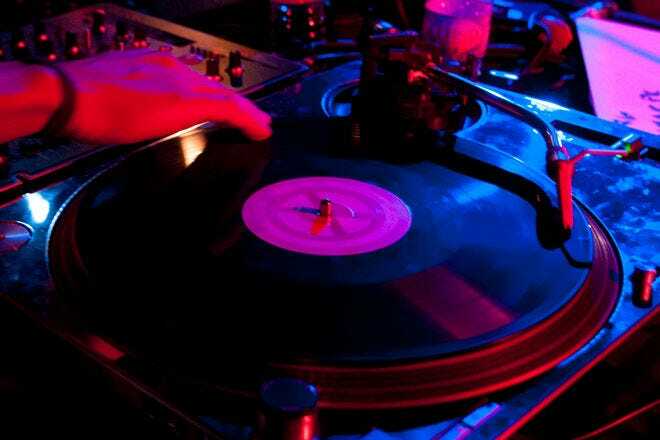 It also hosts DJ sessions. Interestingly, they also screen films here, mostly art house productions and documentary. 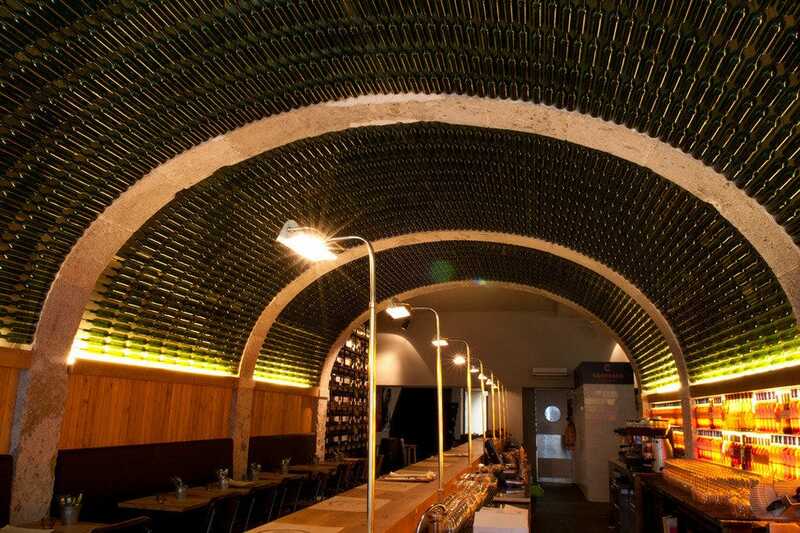 The arched ceiling of this inviting wine bar is decorated with over 3000 empty wine bottles, a creative nod to the fact that this nightspot is operated by one of Portugal's leading producers â" José Maria da Fonseca. Customers have an enviable choice of over 50 different JMF wines from around Portugal, sold by the bottle or glass. An accompanying menu of carefully selected food, delicacies like Azeitão cheeses, Algarve bread, Iberico hams and even oysters harvested from the Sado estuary, lend By the Wine a homely and traditional flavour. The interior design mirrors JMF's own cellars, where a rear salon is embellished with floor-to-ceiling wine racks, a collection of French oak barrels and an original wine press. 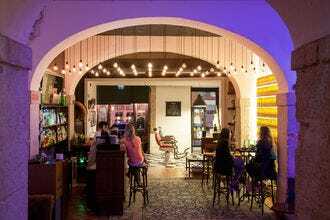 Perched on a terrace underneath the Miradoura de Santa Catarine esplanade, Noobai Café works as an ad-hoc bar and restaurant popular with a younger crowd. The food is fairly basic but nourishing, with dishes such as tuna steak with leek and cod and sweet potato gracing the menu. They also have vegetarian options. The main ingredient, though, is the outstanding view, which takes in the city's dock front, the broad river and the landmark suspension bridge. Dusk often provides beautiful sunsets and after dark the entire vicinity shimmers under a mantel of twinkling spotlight. Indeed, this is a place to hangout with friends over drinks while enjoying al fresco nightlife away from the more usual tourist haunts. The vibe at this shoe box-sized venue on live music nights positively buzzes. Indeed, Lounge is an institution, a bar that eagerly promotes the indie scene and kicks mainstream out of the window. It gets crowded here: there's nothing intimate about a night out here! But the stuffy, smoke-filled living room with its bohemian atmosphere only accentuates the sense of occasion. Most of the bands hail out of Portugal but groups from as far away as Australia have played here, such is the reputation of this unpretentious back street den. Clubbers, too, are drawn here. Complementing the line-ups are some seriously clever DJs who get their own nights to stamp their mark on Lisbon's vibrant music scene. The outstanding architectural feature of this unusual pub is the tunnel it's housed in. The premises have been fashioned from a passageway dating from 1740 and dug as a subterranean bridleway for the royal horses that were stabled at Palácio das Necessidades, which sits on a hill not far from where the bar is located. The other great draw is the enormous selection of homebrewed ale and craft beer on offer, an interesting mix of national labels and guest brews available in bottles or from the tap. Throw into the mix a menu of New York deli-style sandwiches and toe-tapping live music performed on selected nights throughout the week and you've got several very good reasons to trek out west from the city centre and discover one of Lisbon's most original and appealing nightlife venues. Sited on the waterfront near Cais do Sodré railway station, Titanic is an obvious choice for anybody who appreciates live music in all its genres. 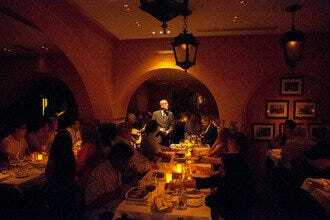 One night you could breeze in to be regaled by syncopated jazz rhythms, on another night, frantic and seductive Samba. And you could find yourself prodding the air in reply to urgent Hip Hop, the message hitting you loud and clear at two in the morning. 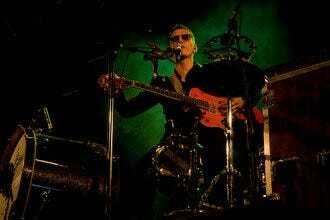 And this is what this funky venue is all about, great sounds by largely local outfits in a super laid back atmosphere. The music rotates nightly, with weekends seeing numbers swell to overflowing. Drinks are reasonably priced and door policy is relaxed and informal.